The plight of the African Elephant is well known. Illegal poaching of Elephants for their ivory has drastically reduced their numbers from approximately 1.3 million in 1979 to less than a third of that number today. The poaching menace has notably escalated in the last decade with some estimates pointing to more than 100,000 elephants killed in the last three years. Thailand – a top destination for African ivory smuggling in Asia makes headlines. Customs officials seize four tonnes of ivory worth $6 million, in what the authorities call the largest bust of its kind in the country’s history. The elephant tusks hidden in bean sacks are found in containers originating from the Democratic Republic of Congo, the seizure is bound for Laos. The owners of this consignment remain unknown and are never brought to justice. Singapore authorities seize about 3.7 tonnes of illegal ivory shipment with an estimated value of $8 million, making it the second largest seizure in the country since 2002. The shipment of illegal ivory and game parts declared as tea leaves is shipped from Kenya. Question is where exactly is all this ivory coming from? For law enforcement entities and conservation groups stopping the killing of Elephants at the source is critical. Poachers will almost always ship ivory out of a different country from where the elephants were killed to avoid the trail of investigation. Sophisticated transnational syndicates oversee every step of the trade from illegal poaching to the smuggling of tasks to the carving factories and shops around the world. An urgent system is needed to stop the killing. At Safari254 we are very much interested in conservation and would love to highlight some of the technological advances being used to halt the extinction of the African Elephant. The Center for Conservation Biology has been collaborating with INTERPOL and other law enforcement entities, applying DNA-based methods to identify the sources of seized African elephant ivory. This group of scientists use techniques in DNA extraction from ivory and genetic mapping through dung sampling and radio carbon dating. The center receives samples of seized ivory tasks from various authorities. From the samples the Center can assign a seizure of ivory closer than 300km to where it came from. Elephant DNA from seized ivory is extracted and analyzed in the lab. 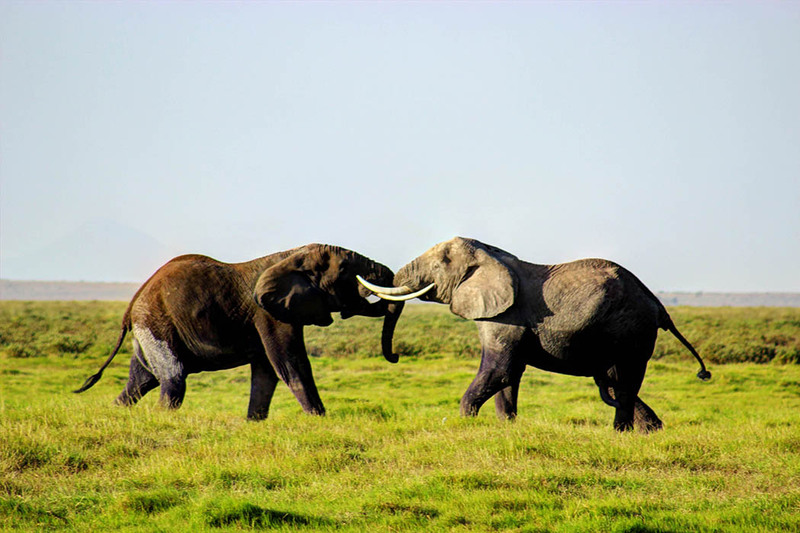 The DNA from the tasks is then matched against a genetic reference map of Africa’s elephant populations. This database has been generated by DNA collected from Elephant dung. The elephant dung was collected from more than 1400 samples, with each sample from a different family group. Genetic markers were then extracted out of the dung samples. The samples provide critical pieces of data that is used to create a genetic map of Elephants across Africa. 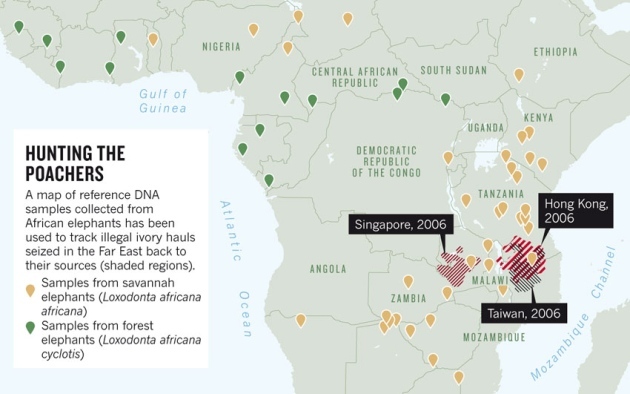 From this map, the scientists are able to genetically determine the origin of a representative portion of major ivory seizures by matching the DNA with that from the dung samples. This method has revolutionized law enforcement approach to poaching. 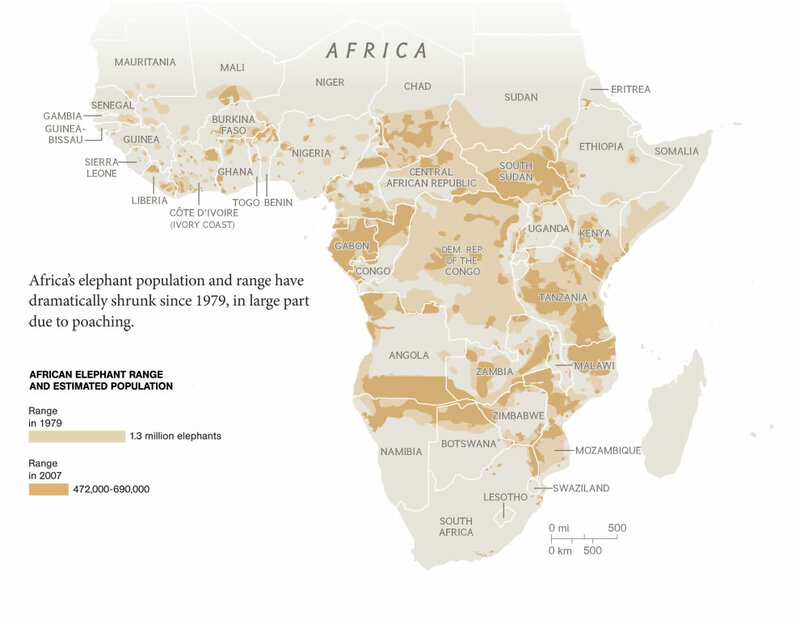 The center has managed to identify the major poaching hot-spots in Africa. A hot-spot is a place that provides multiple tonnes of Ivory repeatedly over multiple years. Investigations have uncovered important features of transnational organized wildlife crime that could be used to unravel the criminal networks that feed this illegal trade. Studies debunked the initial assumption that big seizures are an accumulation of stocks picked from different countries in the continent. Individual large seizures (> 0.5 tons) tend to be composed of ivory from a localized source that is hit repeatedly over time, generally within a single country. Poachers also tend to prefer a country where they have low risk of being apprehended. DNA analysis of 28 seizures between 1996 and 2014 reveal two major hot spots in Africa. Southern Tanzania and the tripartite West Africa region of Chad, Cameroon and Niger. The information obtained from these analyses is helping to focus law enforcement efforts on the major poaching hot spots and hopefully choke poaching activities in the said areas and ultimately reduce the elephant carnage. I was not aware of the amount of ivory that is still being exported from Africa. I think it’s great that they can use DNA technology to locate where the poaching is occurring and target those areas for prevention. Hopefully techniques like this can help reduce the amount of poaching – it is such a sad trade. I think the biggest thing is to get rid of the desire to own anything with ivory in it! That is very interesting and encouraging information. Let’s hope the poachers can be stopped before they cut off the tusks in future. Nice to see technology making way in curb the Elephant problem. As a Thai my self, killing of elephants are especially sad and closer to home than I’d like. Totally agree that the problem must be stopped at the source. Another thing that will help out a whole lot is to eliminate or at least decrease demand. As the slogan says, when the buying stops the killings will too.